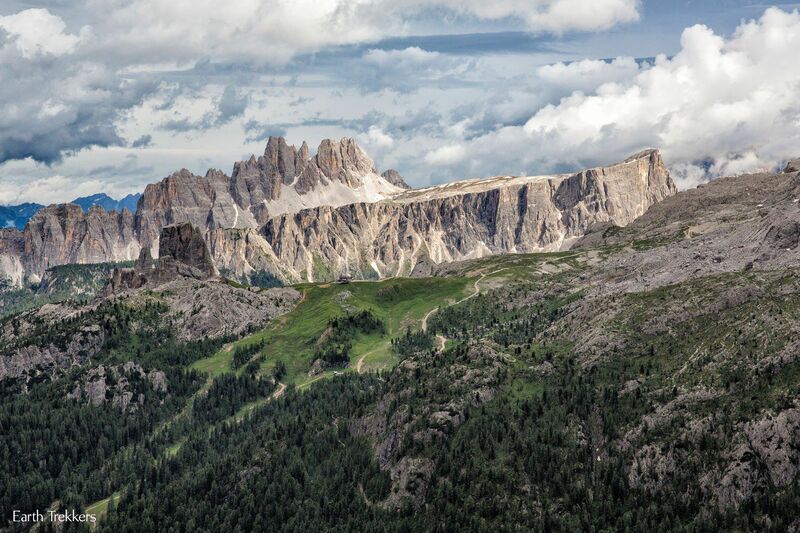 The Dolomites, a commonly overlooked region of Italy for Americans when it comes to planning a vacation, is by far our favorite place in this amazing country. We spent four days driving incredibly winding roads, up and down through mountainous territory, enjoying some of Italy’s best views. 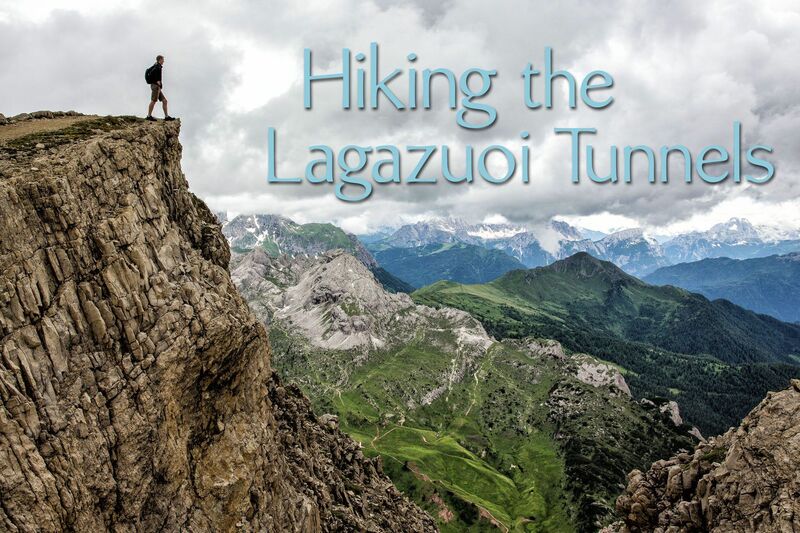 Our first hike, the Lagazuoi Tunnels, really showed us just how beautiful this area is. This part of the country is almost more Austrian than Italian. German is just as widely spoken as Italian, and we heard hardly any English at all. My knowledge of German and Italian is miniscule, as I only know the necessities, such as counting to ten and asking for a glass of wine. Still, we were able to get by. 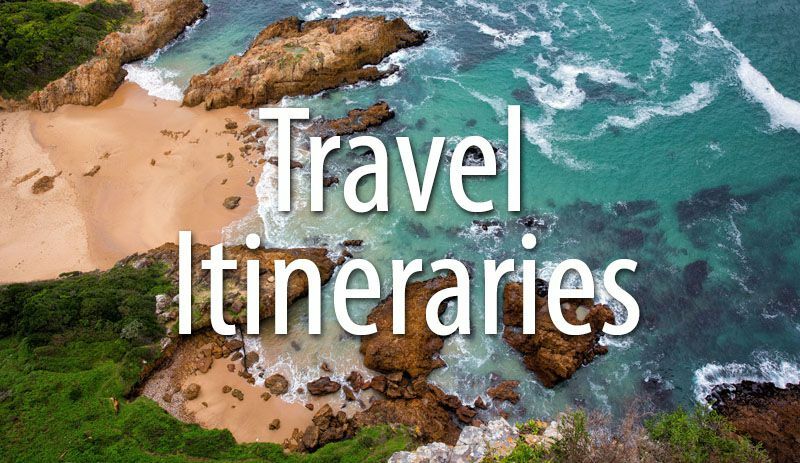 The towns looked like they were plucked out of Bavaria, with quaint hotels decorated with masses of petunias and other colorful flowers, ski chalets, and the occasional biergarten. 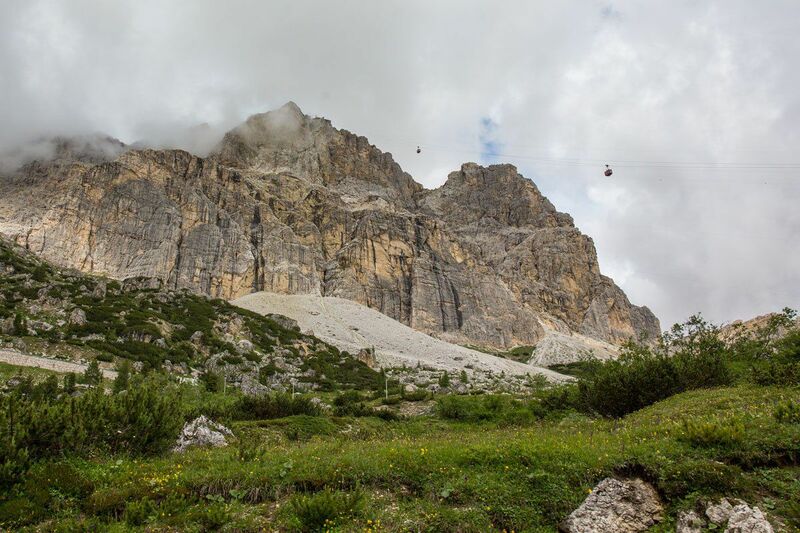 We saw chair lifts and gondolas everywhere, used for skiing in the winter, but were now taking vacationers like ourselves to the mountaintops for some of the highest views over Italy. The hiking was the best we have had yet; challenging, not overly crowded, with rewarding vistas. 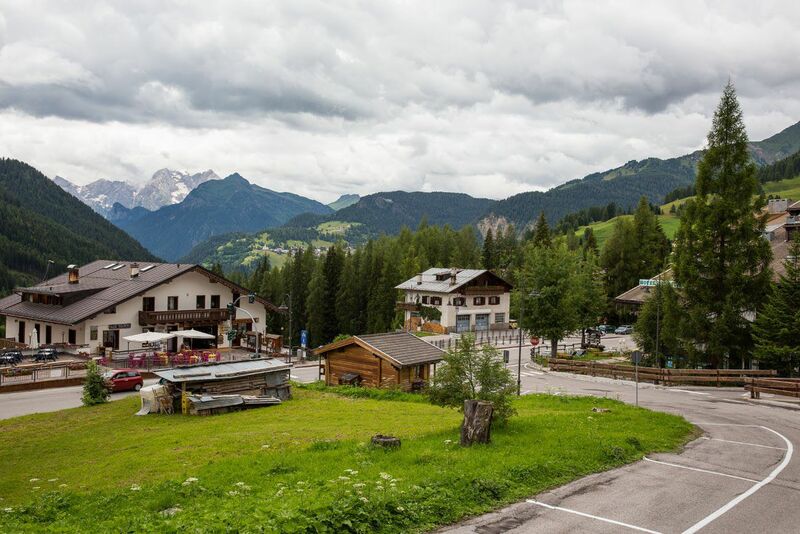 At the end of the day we would return to Selva di Cadore, our home base, and enjoy pizza, pasta, and wine. This is our kind of paradise. To get to the Dolomites, we rented a car in Venice, driving almost two hours north to the town of Selva di Cadore. We made a pitstop on the way, since Kara got carsick again. Crazy! She has never had a problem with carsickness until this trip. So much for my plans of homeschooling while driving through Africa…I guess we will figure that out once we get there. 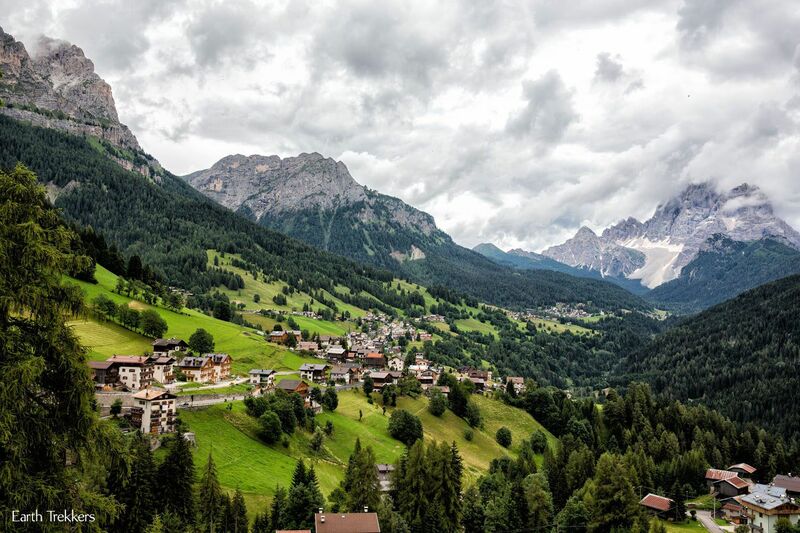 Selva di Cadore is a quiet, little town located in the mountains, about a half hour away from Cortina D’Ampezzo. It is a somewhat central location for reaching most of the hiking trails. 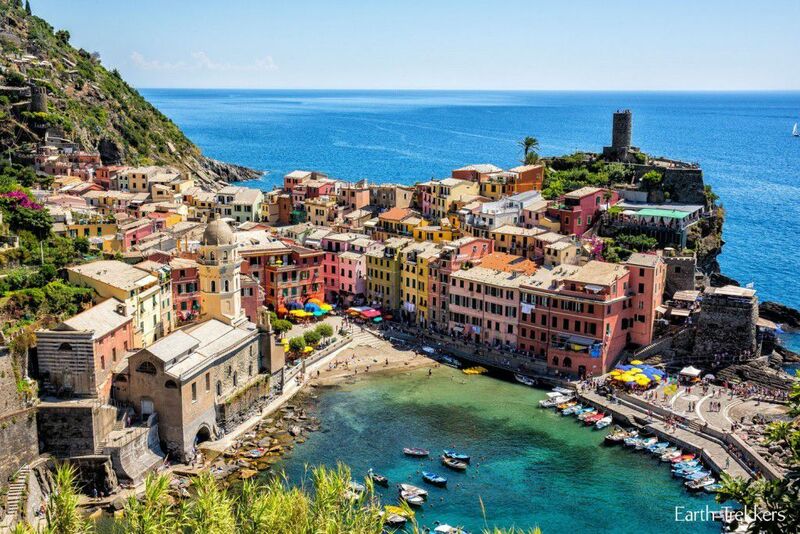 Plus, we were located away from the main touristy towns; it was wonderful getting away from the masses of tourists in Italy in July. In Selva di Cadore we stayed at Hotel Garni Ongaro. We stayed in the quadruple room which had bunk beds for Tyler and Kara and a queen-sized bed for Tim and I. The rooms are basic but clean and breakfast each morning was very good. We loved staying in this small town, a nice break from the bigger cities we just visited in Italy. Today we did our shortest of three hikes, since it was already 2 pm once we got started. 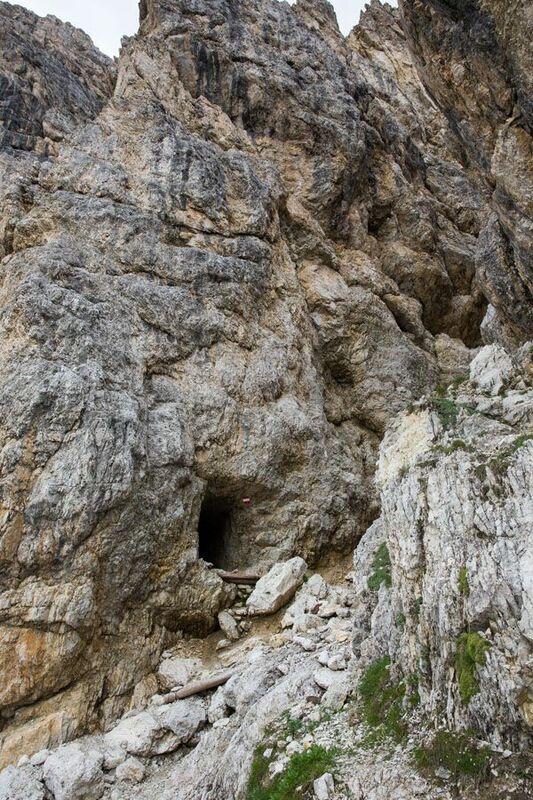 A half hour north of Selva di Cadore is the Falzarego Pass and the Lagazuoi Tunnels. The roads here are insane! 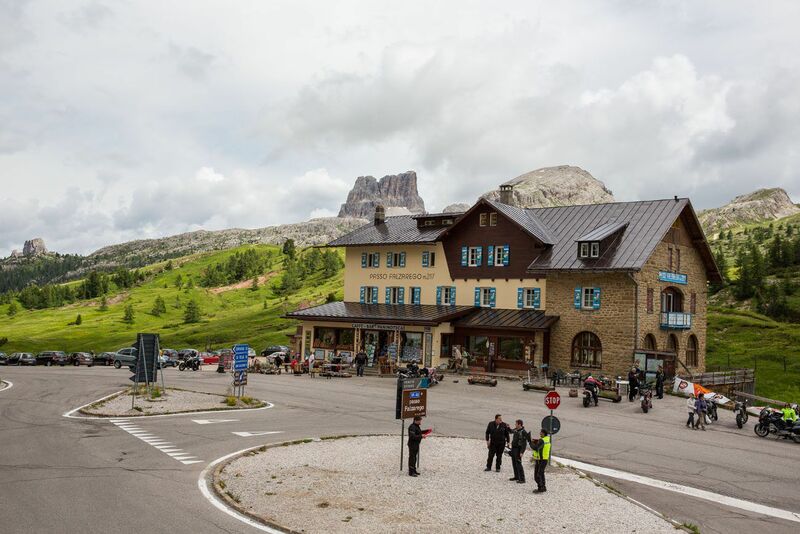 I don’t think there is a straight section of road in the Dolomites longer than 100 meters long, and some mountain climbs would entail driving 36 hairpin turns. We know this because there were signs counting them down during these climbs. 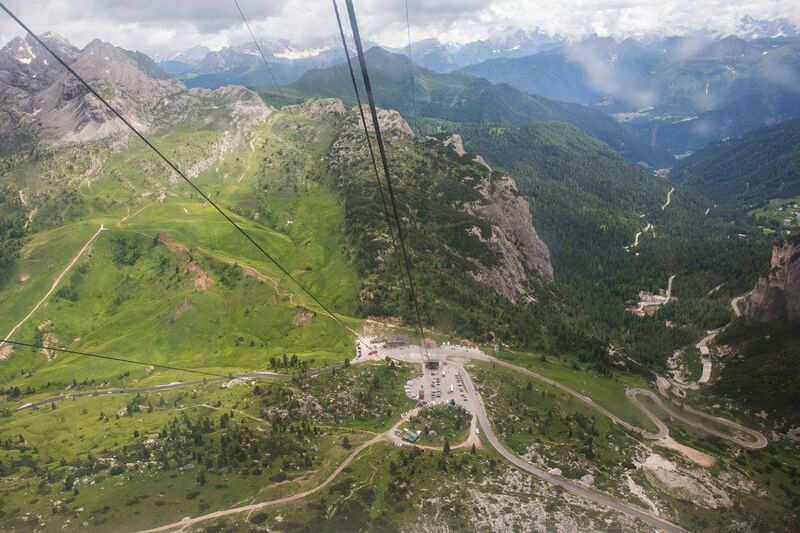 We parked in a car park on a mountaintop, and just when we thought we couldn’t go any higher, there was a cable car to take us to 2800 meters of altitude at the mountain peak. 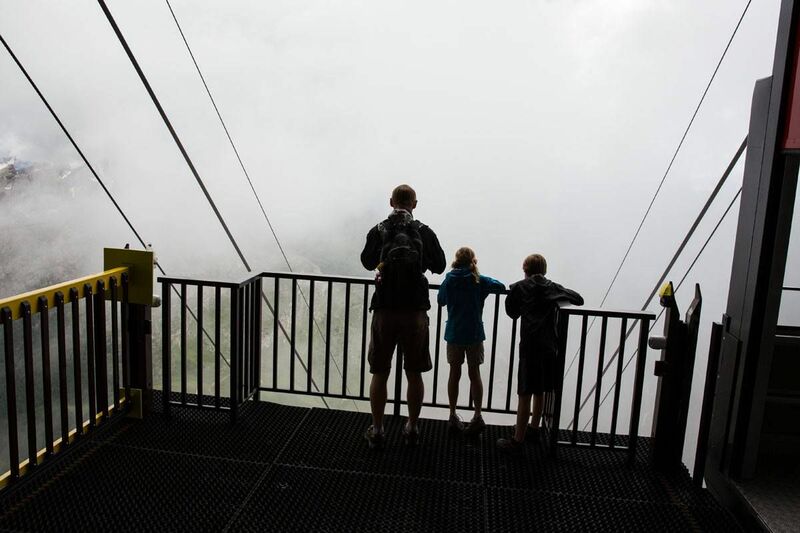 The cable car went so high that we couldn’t even see the top…it was covered in clouds. It was a very smooth, very fast ride to the top. We emerged from the cable car into much cooler weather. The four of us were wearing shorts, T-shirts, and rain jackets, which was not enough clothing. If you plan on doing this hike, make sure you are prepared for the cooler temperatures on the mountain top. After photos with an incredible backdrop, we set off down the mountain. 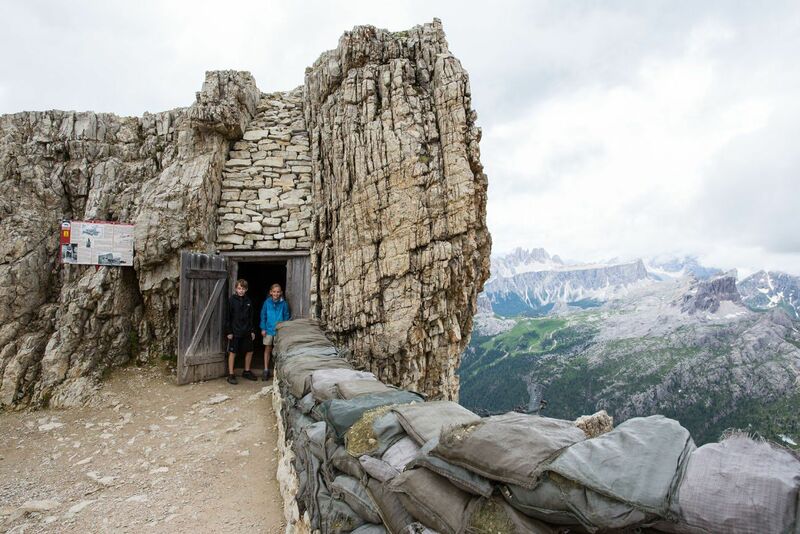 This area of Italy was the site of many World War I battles. We could see tunnels and bunkers carved out of the mountains, remnants from the war. On this hike we were planning on hiking 1 km down one of these tunnels. In order to do this good footwear and flashlights are a must. We came prepared, but could never find the tunnel!! I think Italians periodically flip signs backwards just to confuse people. In a way, we were glad we missed the tunnel. By hiking through a dark tunnel we would have missed some of the best views. Halfway down the mountain we found the bottom entrance to the tunnel. We walked through the tunnel part of the way. It was dark, chilly, and slippery. Those flashlights are a must!! 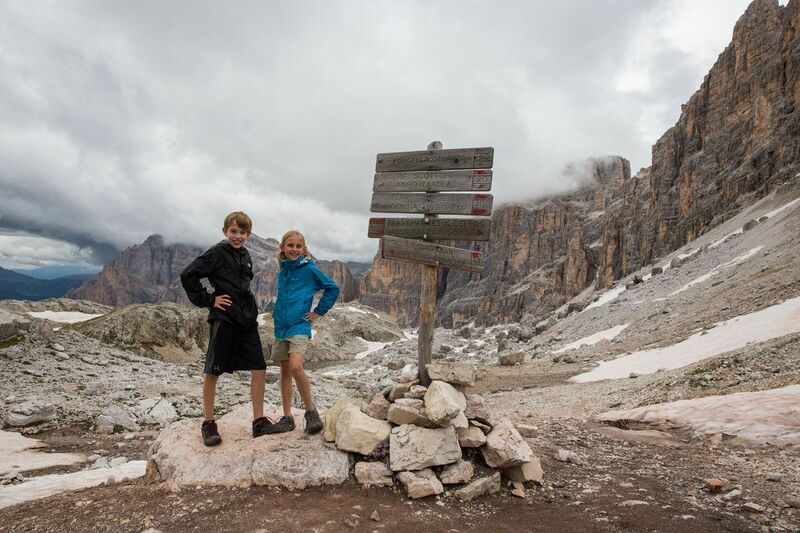 We finished our last descent, ending our first hike in the Dolomites. The scenery is amazing here. We are really looking forward to taking a much longer hike tomorrow. 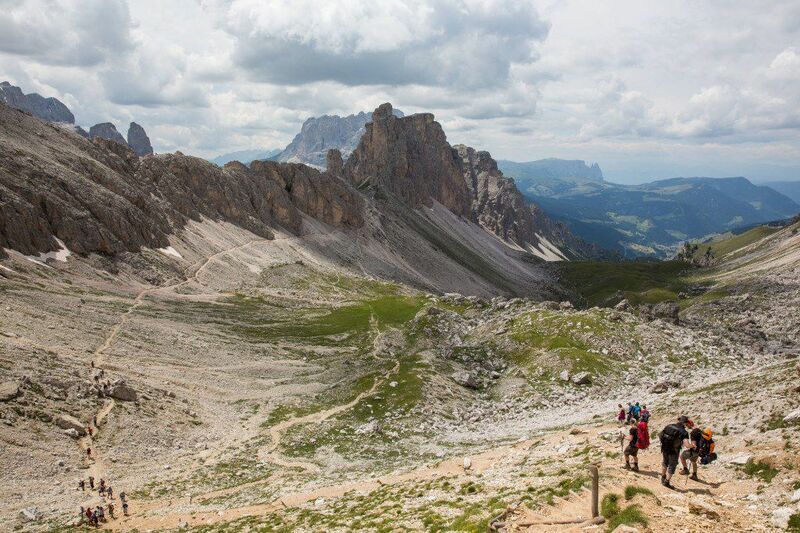 Map: You can purchase a map of this hike at the tourist offices, souvenir shops, and outdoor suppliers in the Dolomites. For this hike, you need the Tabacco #3 or #7. Purchasing the map is not necessary. The hiking trail is well marked and easy to follow. 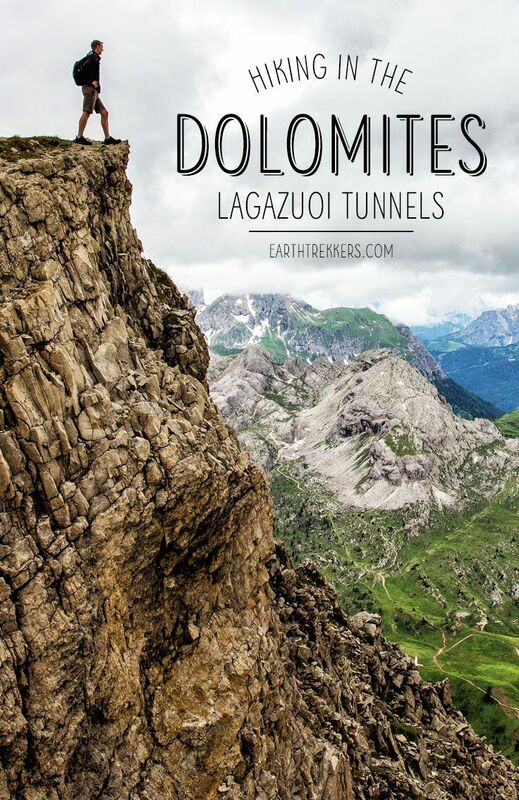 You can also reference the book Shorter Walks in the Dolomites, which we mention below. When to go: This hike is best during the summer months. Bring: Hiking shoes, water, snacks or lunch, a jacket and long pants (it is chilly at the higher elevations), and of course, your camera. 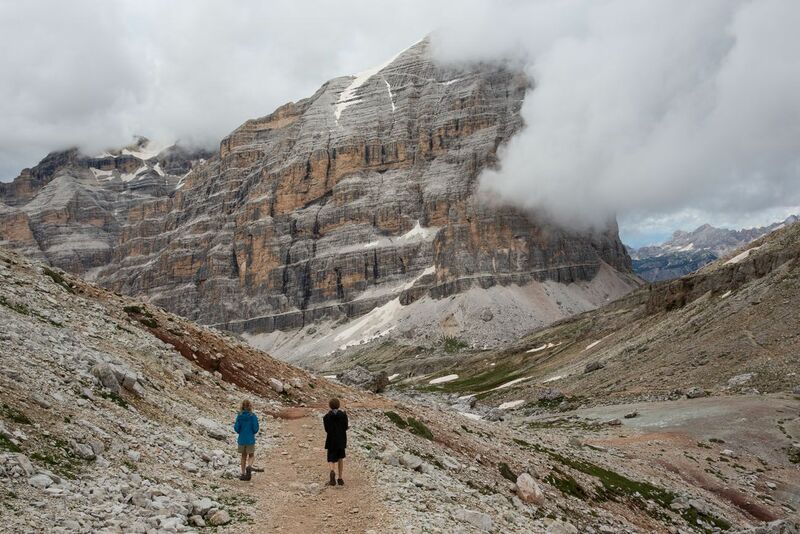 Looking for more hikes in the Dolomites? 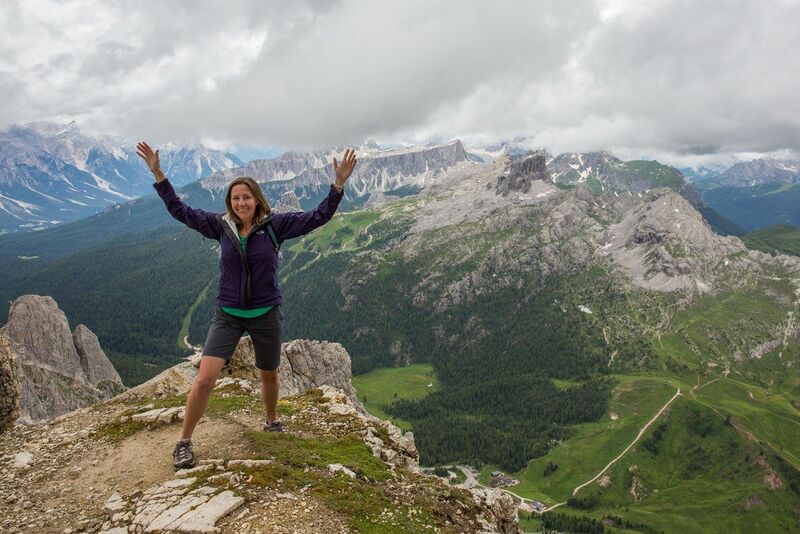 We also hiked the spectular Puez-Odle Altopiano (one of our favorite hikes of all time) and The Tre Cime di Lavaredo Loop, an easy hike around giant pinnacles of stone, one of the iconic views of the Dolomites. 1. Do you have any recommendations on hikes that don’t have sections where you have to walk close to the edge? I’m fine with heights as long as there is plenty of flat land on both sides of me…no ledges/drop-offs. Aesthetically I prefer hiking in greenery, lush areas versus the bald, rocky, “Badlands” looking sections. 2. Can you tell me which roads to avoid (based upon my definition above) of a “scary” road? I was able to enjoy some wonderful hikes in the Grand Tetons and Yellowstone over the summer by getting advice on roads to avoid so I’m hoping to do the same here. I appreciate any advice you can provide. 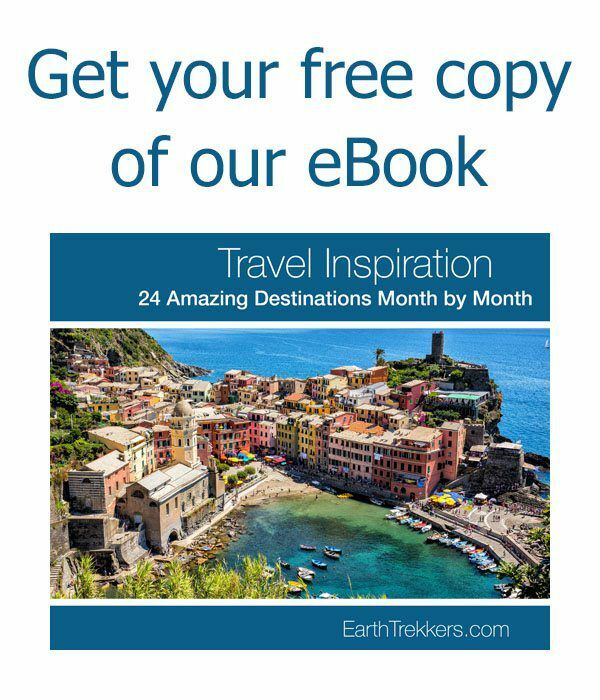 I’ve been researching our Italy trip several hours a day for over a week now and your site is by far my favorite of all the ones I’ve come across! Hi Julie, we LOVE your blog! We will spend 3 days in the Dolomites at the end of July 2018. We decided to follow your footsteps — we are going to hike the same trails you did. However even after studying the maps I can found online, I still could not figure out which route you took for this hike. After leaving the summit, did you take Trail 401 and 402 back to the base? How is the road condition in Dolomites? Is it safe to drive after sunset? Best Regard, Steve from Los Angeles. I’m not sure how you couldn’t find the entrance to the tunnel, just follow the signs. We are not experienced mountaineers and found it quite easily. The tunnel is an exceptional experience and one not to be missed, though you did. The fact that Italian miners tunnelled up here during the Great War in order to blow up the Austrian gun emplacements is a testament to human endeavour. The views from the lateral passages are stunning. The spoil from tunnelling was poured out of these at night and under the cover of heavy snowfalls. Well worth asking someone for directions. Driving at night is quite safe here in Europe and in the Dolomites in particular. 1. Would this hike be possible for beginners? My boys are 9 & 11, but my daughter is only 5.5! Are we being over ambitious trying to do this with three kids who haven’t really experienced mountain hiking before? 2. How long did it take to get through the tunnels? Was it pitch black? Easy to breath inside? 4. From when u stepped into the cable car until you returned down the cable, the trek was 3-4 hrs u say? 5. From your experience, what was the HARDEST part of this hike? Any areas which are steep and slopey? You didnt require any harnesses or anything correct? 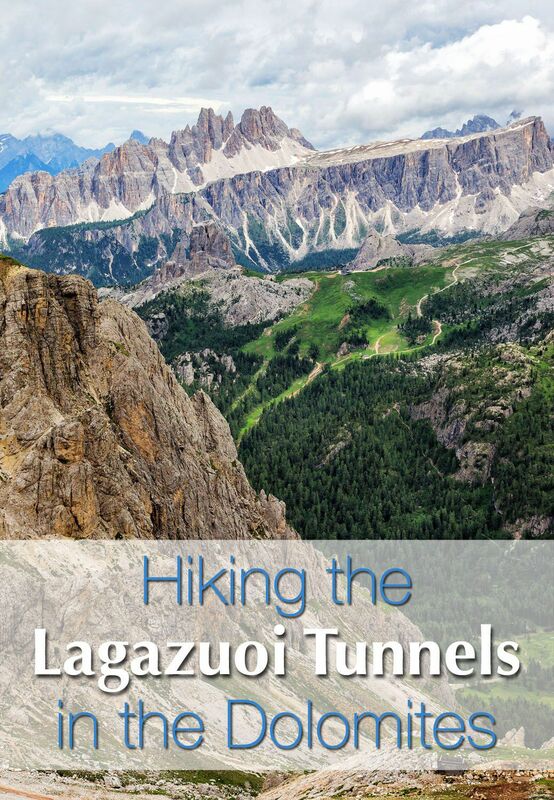 I’m really curious how you reached/found the beautiful viewpoint from the beautiful photo in the top with the text saying “hiking the Lagazuoi Tunnels. 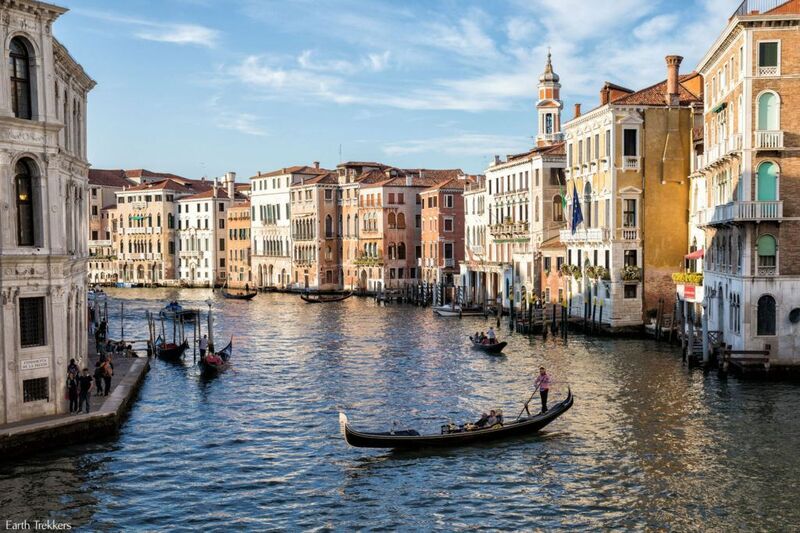 I’m going to the Dolomites this summer and sure, I would love to experience the tunnels because of the history – but I’m a lot more interested in this beautiful view at your picture. I hope to hear from you! Safe travels. I’m glad you liked this area, the South Tirol has been on a yo yo between Austria and Italy for a very long time, the fact that the Austrian Tirol is the first region you enter after leaving Italy via the Brenner Pass says it all. As the language of Austria is German you can be forgiven for thinking this is a German culture. 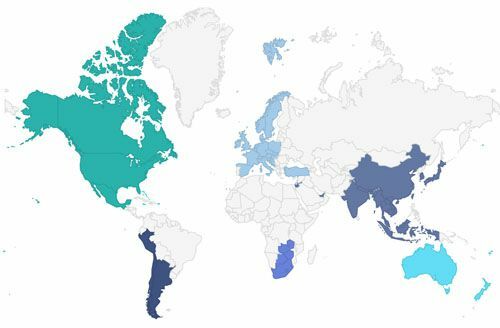 It is a bit like thinking because you speak “”English”” you will be mistaken for being English, far from it you speak American, an entirely different language which separates our two countries. Please take the last part of this reply lightheartedly as it was intended and please continue to enjoy our fascinating continent . p.s. We are in Val Gardena at the moment in terrific heat of 35°C (95°F). But still enjoying it. Hello, Mick. Yes, we loved this area. 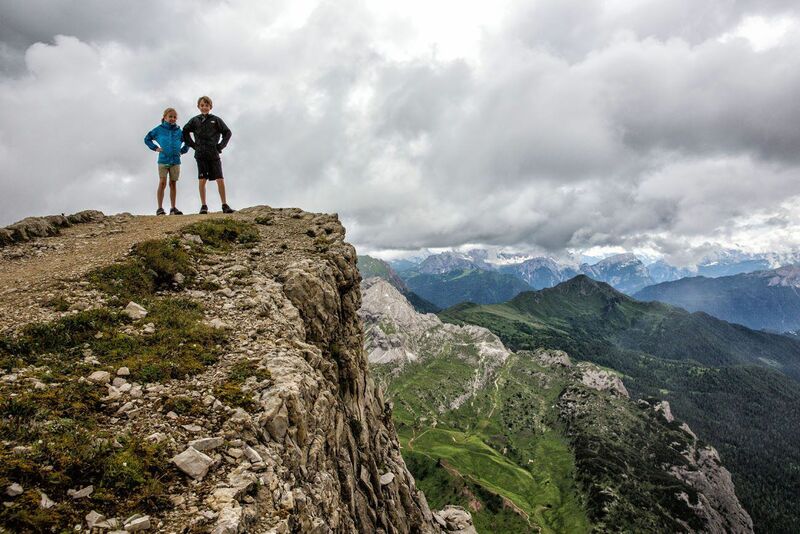 It is gorgeous, offers great food to eat, and the hiking is some of the best on the planet. In all of our travels this was one of our favorite places. I am so glad it wasn’t that hot when we were there…yikes! 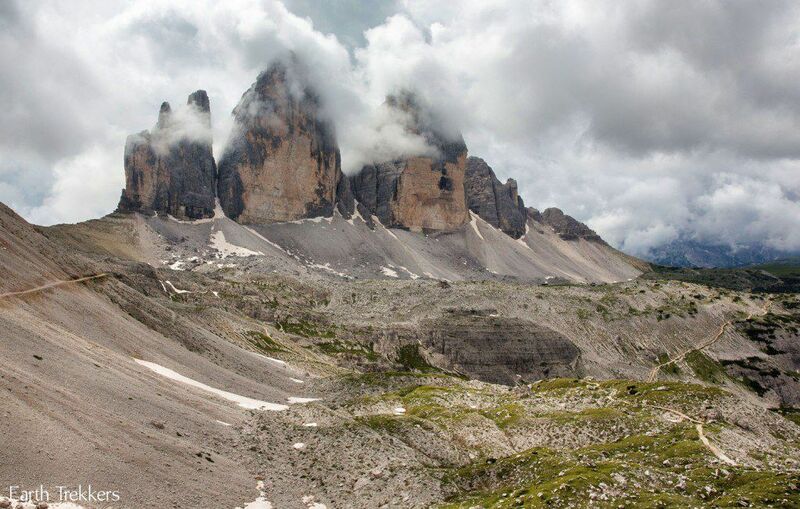 I’m catching up on your trip, when hiking the Dolomites, were there times when you felt like you were the only ones on earth? I didn’t see any other hikers. Your pics are amazing!! The Dolomites were amazing, so it was easy to take great pics!! There were a fair number people on the trails, although for brief periods of time we were on our own. This is one of the reasons we like to hike so much. We get to see amazing scenery, and the longer, more difficult hikes take you away from crowds of people. 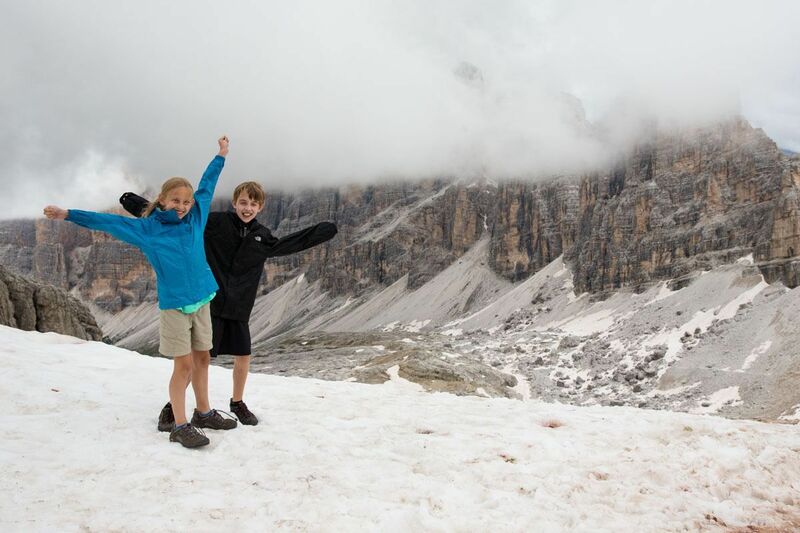 We are planning on doing a lot more like this but it will be hard to beat the Dolomites! Amazing photos as always. I now have a new location to add to my bucket list. 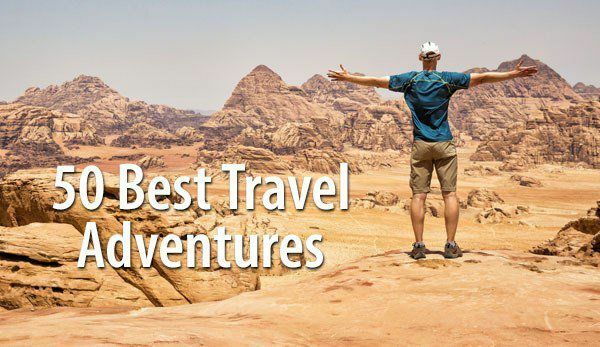 Thanks for sharing your adventures!! Ok.. We have boy and girl 12 and 10 and we live in baltimore..my husband asks can u review how u got away? Sold your house, quit or leave of absence both jobs? My extended family are enjoying your posts.. 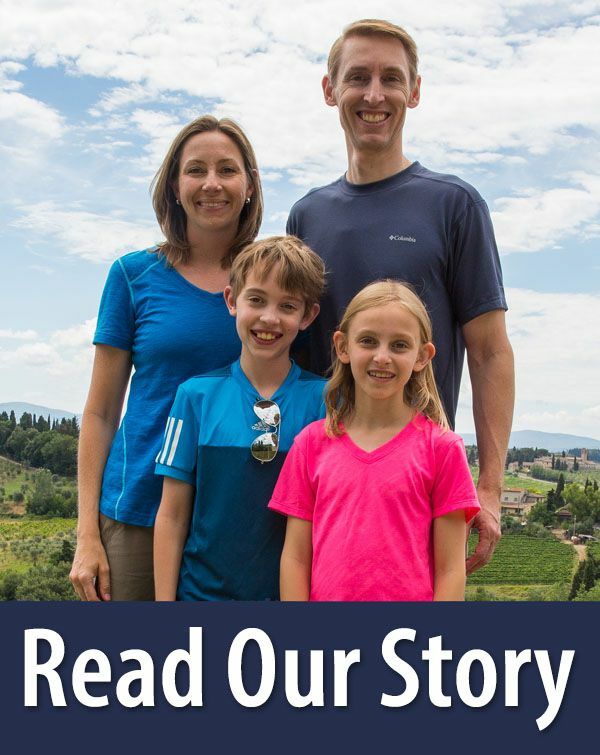 Anyone can travel without kids but I like your honesty about what works with kids..
Hello, The quick answer to how we got away was we sold our house and cars, I quit my job, and my husband took a one year leave of absence from his. We are home schooling the kids using Calvert Education. Taking this trip was a decision that took several years to make and so far it has been the greatest decision ever. 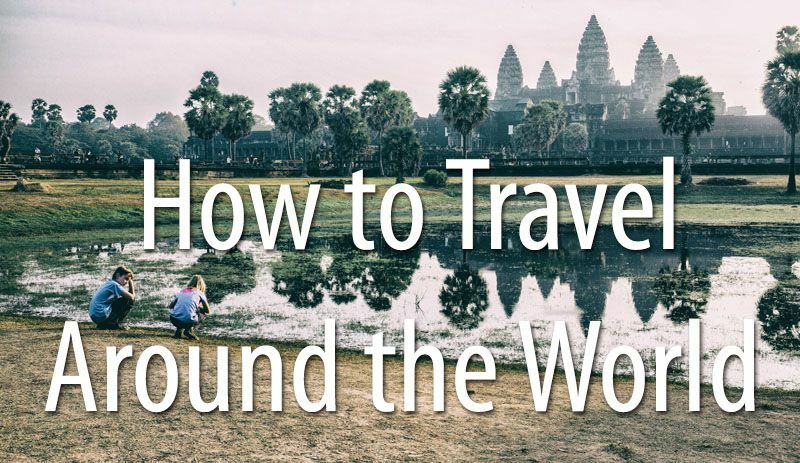 For more detailed info,check out our post, “A Checklist Before Traveling the World,” found under the RTW tab. Thanks for reading! As always beautiful pictures to look at..thank you….So sorry to hear about Kara’s car sickness. What we used to do for our son when we traveled..was to have him eat ritz crackers…it always kept him from being sick. 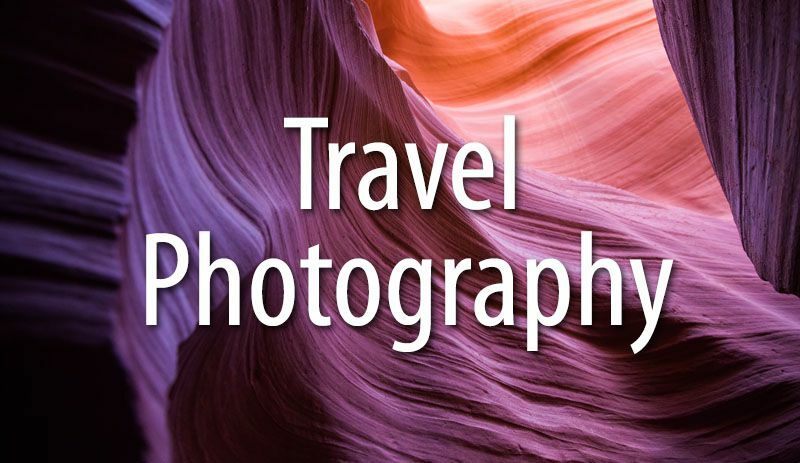 ?hope it helps….thanks again for sharing your trip with all of us.